Including art pieces in your home can be a tricky affair, with considerations such as sizing and position undoubtedly coming into question. Solve your dilemma with these tips on how to style art the right way. To ensure consistency within your room, pick out a colour palette for your wall art that coincides with your soft furnishings. This way, you’ll have the ease of knowing that it won’t look out of place against the other elements in the room. Be careful not to overdo it – you wouldn’t want your space to seem enveloped in a single hue either. Inject your unique personality into your space by choosing a theme for either your entire home or just a singular room. Be it rustic, Pop Art or monochrome, picking out art pieces that correspond with a theme can contribute to a strong overall look. For a minimalist approach, avoid cluttering your space with art pieces. Keeping to just a few pieces can work wonders to brighten up your home. Aligning several smaller paintings or portraits horizontally instead of using one main piece makes for an eye-catching display while hanging them up vertically as an alternative is also a trick to counter narrow space constraints. Don’t limit your art collection to paintings and portraits. Explore unconventional options of sculptures, ornaments, or even DIY projects to give your home a unique flair. Taking into account the various materials, textures and colours, choosing eccentric artwork can turn them into the show-stopping focal point in any room. When in doubt, opt for the gallery method of grouping photos together. If you fear a disorganised-looking mess, choose similar frames for your pictures and a universal theme to create a cohesive look. 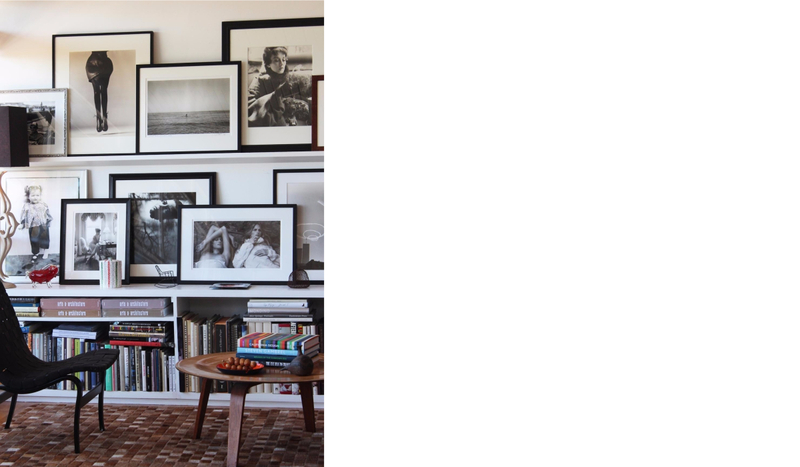 Layering your frames – by overlapping some of them against each other – helps to save space too!